During a break in the summer storms at around 23:00 BST on the 29th June 2007 Chris Newsome captured this view of Jupiter and its four Galilean moons. The atmosphere was very unsteady but the transparency was good. 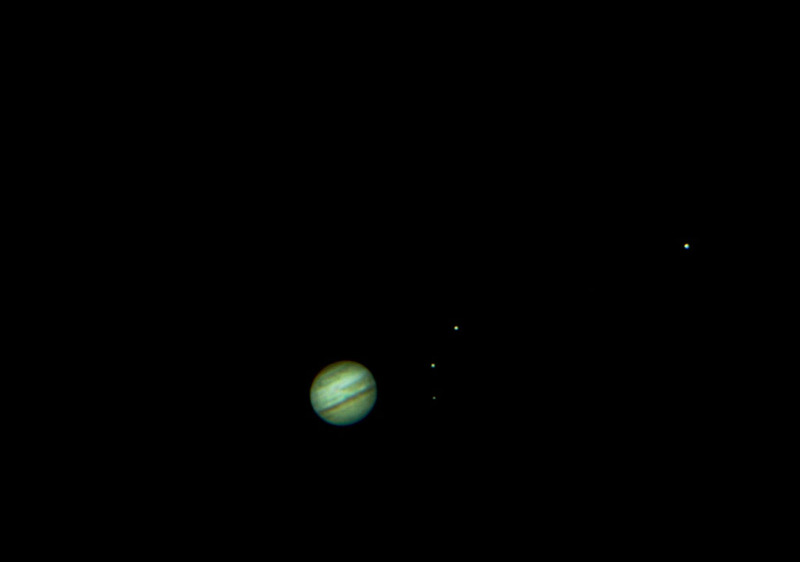 Left to right (clockwise) the moons are Callisto, Europa, Io and Ganymede. Chris used a Meade LPI and 2x Barlow through a Celestron C8-NGT. It is comprised of a total of 300 frames stacked in K3CCDTools and processed in CS2. This image made Picture of the Week on the British Astronomical Association website in July 2007.